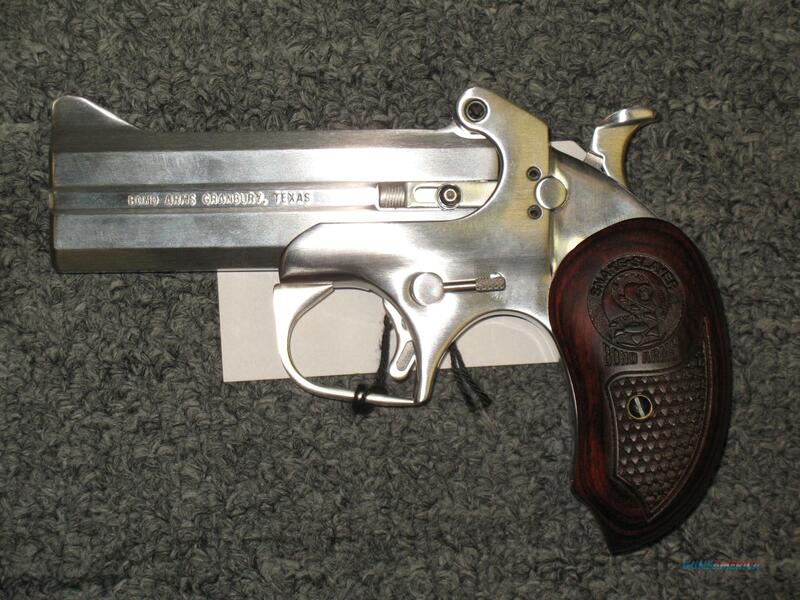 Description: This brand new Bond Arms Snake Slayer IV derringer is chambered in .410 gauge/.45lc and has 4.25" barrels. It is all stainless with rosewood grips. It comes with a hardcase and manual.